Atomic Power Review is proud to present the 158th Carnival of Nuclear Energy. This rotating feature has appeared over the last three years at the most popular English-language, pro-nuclear blogs in order to showcase top news items of each week. The standard procedure at APR for the Carnival is a guessing game -- I present an illustration from my archives, and ask you to guess what it is. Here's this Carnival's photo .... "What is this?" Since I have the feeling that this illustration will at least in part be fairly obvious to some of the more experienced readers, there's no hint this week. The answer - and more - after the Carnival entries. Gail Marcus takes on a lighter subject than usual this week at Nuke Power Talk, profiling one Ph.D. nuclear engineer who has found his fame and fortune as a country western musician. This week, the Japanese nuclear regulator (NRA) determined that the Tsuruga Unit 2 reactor building was in fact built over an active fault, by way of adopting as official the report of an expert panel convened on the subject. Will Davis covers the news for ANS on this still-developing story. In April 2011, photographer Tomoki Imai scaled to the top of Mount Tekura, some 2,000 feet above and 30 kilometers from F. Daiichi. Initially frightened by Press coverage of the nuclear accident, he soon relaxed because all he saw was a beautiful spring landscape, "I realized how my view of Fukushima was being distorted by all the TV images and the information we were being bombarded with at the time." Imai's personal experience on Mount Tekura brings to mind Petrarch's catharsis on Mount Ventoux in the 14th century. Steve Aplin has fond memories of his grandmother cooking on her beloved natural gas cooking range. But today he wouldn’t be caught dead cooking with natural gas. That’s because the stuff is too pollution-heavy compared with clean, mostly nuclear Ontario electricity. EU leaders, desperate to give economic growth a boost, are talking about targeting energy policy. They are concerned a US-led revolution in shale oil and gas development will reshape the global economy and leave Europe far behind. Industry minister Toshimitsu Motegi said that some of the country’s idled nuclear reactors might resume operations this autumn at the earliest after undergoing a new safety assessment process. Areva expects Japan over the next few year to restart two-thirds of its atomic plants that were idled after the 2011 Fukushima accident. Half a dozen reactors may restart by the end of this year in addition to the two that resumed operations in 2012. A new generation of 10 tesla superconductors could make Tokamak style nuclear fusion reactors work. It could make them affordable, smaller, maintainable and remove the plasma problems. The development time could be greatly reduced from 50 years to 10 to 20 years. A new design would also switch to FLIBE molten salt for lower costs. 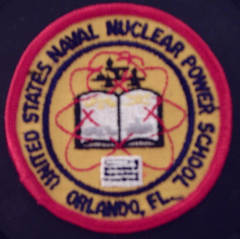 Nuclear fusion is one of the main topics at Nextbigfuture. I have summarized the state of nuclear fusion research before. A notable summary was made three years ago in mid-2010. I believed at the time that there could be multiple successful nuclear fusion project vying for commercial markets by 2018. Progress appears to be going a bit more slowly than previously hoped, but there are several possible projects (General Fusion, John Slough small space propulsion nuclear fusion system, Lawrenceville Plasma Physics - if they work out metal contamination and other issues and scale power) that could demonstrate net energy gain in the next couple of years. Things Worse Than Nuclear Power ... "by a couple of M.I.T. engineers!" This provocatively-titled post will get readers thinking about radioactive waste -- and perhaps most specifically spent nuclear fuel -- in a whole new light. What if we thought of it as a resource, instead of something to be submerged, then contained, then buried? And how safe is it when we follow the normal (non-recycling) disposal procedure, anyway? That's it for this week's lineup of attractions at the Carnival. All that's left is to tell you what that illustration you saw is! 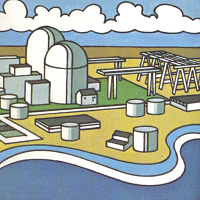 The illustration is from an unclassified booklet titled "Army Nuclear Power Program," published for the Associate Engineer Officers Course by The Engineer School, Fort Belvoir, Virginia in April 1958. 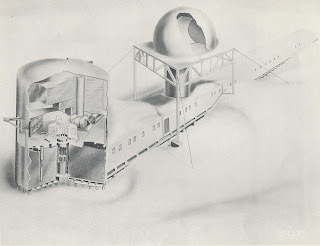 Illustrated is the original conception for the field deployment / site construction of the ALPR or Argonne Low Power Reactor design as a part of the DEW (Defense Early Warning) system of radar stations monitoring potential Soviet overflight of the North Pole, en route to attack on the United States with nuclear weapons. 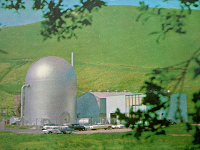 "Argonne Low Power Reactor. To meet the requirement for a small plant for use at smaller Arctic installations such as DEW-line stations, the Argonne Low Power Reactor is now under development by the AEC. 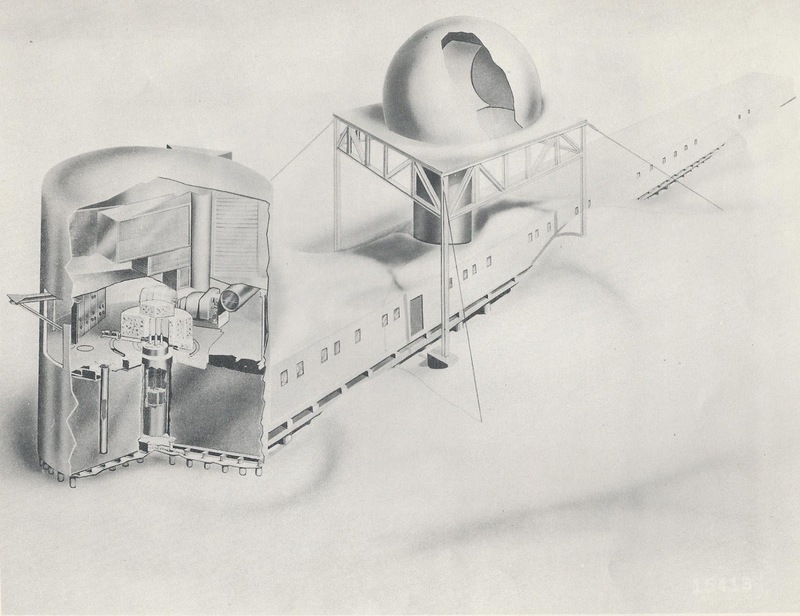 A boiling water reactor along with the turbine generator and air-cooled condenser are housed in a 38-foot diameter cylinder which is adjacent to the operational area and living quarters as shown in Figure 3. Construction of the prototype at the National Reactor Testing Station, Arco, Idaho is about 60% complete and is scheduled for completion late this spring." The illustration depicts, at the left, the plant as described. Visible in addition to the reactor lower center of the building are the turbine-generator at operating floor level (which in ALPR was supplied by Worthington Corporation), the air cooled condenser space above the operating floor, electrical distribution panels to the left side of the operating floor, and even the right-angle-drive Control Rod Drive Mechanisms (supplied by ALCO Products, who was trying at that time to develop such devices as essentially standard for small reactors.) 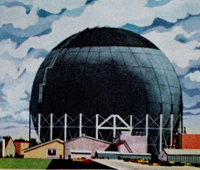 The domed structure at center contains the radar; the semi-tubular and sealed / weatherproofed structure running along the site, connecting the reactor building, radar, and of course containing crew quarters, living arrangements and necessities, and operating spaces is of particular interest - no doubt tailored to the extremely hostile environment. The booklet contains illustrations of other projects, including the following interesting concept. 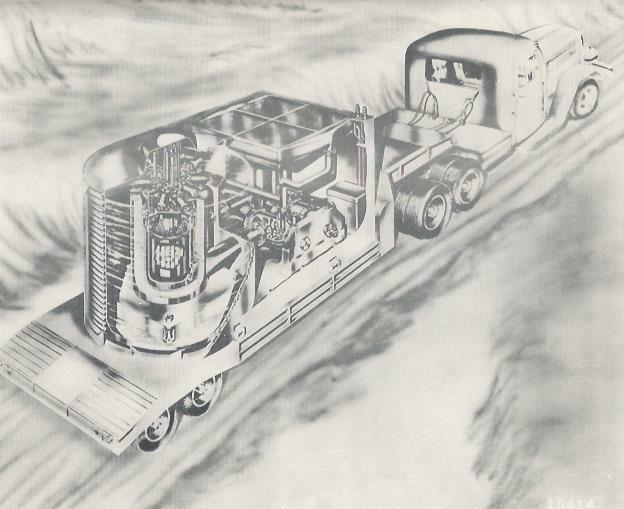 From the booklet: "Gas Cooled Reactor for Trailer Mounted Plant. A gas-cooled reactor for mobile plants employing closed-cycle gas turbines is now under development. The AEC has contracted for the design, construction, and operation of a gas-cooled reactor experiment at Arco, Idaho. Concurrent research and development is being conducted by the Corps of Engineers on a closed-cycle gas-turbine test facility under construction at the Army Engineer Research and Development Laboratories. These experiments will furnish engineering data leading to the design of a prototype plant having a capacity of several hundred KW and capable of being transported on a 25-ton trailer similar to the one shown in Figure 4." Other concepts described in the booklet include some that were built --- the section on "Barge Mounted Plants" did carry out as the nuclear plant - barge STURGIS --- while others, such as the "Land Train" for logistic supply using many vehicles connected by cables to a mobile nuclear plant did not reach anything like prototype stage. There is indeed a reason I've picked this booklet, and these smaller reactor concepts, for this week's Carnival. In the coming days, I'll be attending the Platts Small Modular Reactors Conference in Washington, D. C. on behalf of Fuel Cycle Week. The plants you see depicted here on this page were among the earliest that used concepts similar to those being pushed for the new SMR plants... these being deployment for other-than-base load commercial opportunities, truck-transportable size, and use much nearer to populated centers.... or in some cases, use exceedingly far away from ANY populated center. It's fascinating to see the distant ancestors of the present SMR concepts, and realize that what's really changed is the technology and commitment to safety, instead of the notions for possible commercial (or military) use for the plants as-built. Thanks for reading this week's Carnival! I hope you've enjoyed it. Below is today's press release from Dominion on the economically-motivated shutdown of Kewaunee Generating Station. CARLTON, Wis., May 7, 2013 /PRNewswire/ -- Dominion (NYSE: D) today shut down its 556-megawatt Kewaunee Power Station permanently, ending almost 40 years of nuclear-generated electricity at the station located about 35 miles southeast of Green Bay on Lake Michigan. Dominion announced last fall that it would close the station and decommission it because the company was unable to grow a Midwestern nuclear fleet to take advantages of economies of scale and Kewaunee's power purchase agreements were ending at a time of projected low wholesale electricity prices in the region. "This decision was based purely on economics. The dedicated employees have operated the station safely and well," said David Heacock, president of Dominion Nuclear and chief nuclear officer of Dominion. "We will keep our focus on safety as we transition the station toward decommissioning." Kewaunee went into service on June 16, 1974. Operators began reducing power output at the station at 8 a.m. CDT and opened the electrical output circuit breakers shortly after 11 a.m. CDT, which removed the unit from the Midwest ISO transmission system. Over its life, the power station generated about 148 million megawatt-hours of electricity. "Kewaunee Power Station achieved nearly 40 years of clean, safe and reliable operation, which is a testament to nuclear technology and the dedicated former and current employees," Heacock said. "The company has taken steps to assist Kewaunee employees during the transition process and in the coming months will begin working to place the station's systems safely in storage for decommissioning." 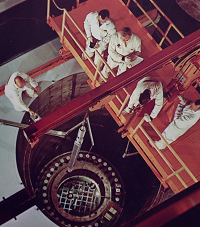 In the weeks ahead, station personnel will begin removing all 121 fuel assemblies from the reactor and storing them in the used fuel pool before commencing activities to place the unit in SAFSTOR, a U.S. Nuclear Regulatory Commission-approved method for long-term monitoring and storage of a closed nuclear unit. Under federal law, the company must decommission the unit and return the site to a green field condition within 60 years. "This closing does not herald the end of our company's commitment to nuclear power," Heacock said. "It is a safe, reliable and carbon-free technology, but as with all forms of generation, it must compete on economics, including the necessity of being price competitive on a regional level." Dominion is one of the nation's largest producers and transporters of energy, with a portfolio of approximately 27,500 megawatts of generation, 11,000 miles of natural gas transmission, gathering and storage pipeline and 6,300 miles of electric transmission lines. Dominion operates one of the nation's largest natural gas storage systems with 947 billion cubic feet of storage capacity and serves retail energy customers in 15 states. For more information about Dominion, visit the company's website at www.dom.com.